This Volkswagen Golf Variant CL TDI syncro was produced from 1995 to 1998. It is part of the Mk3 generation Golf. 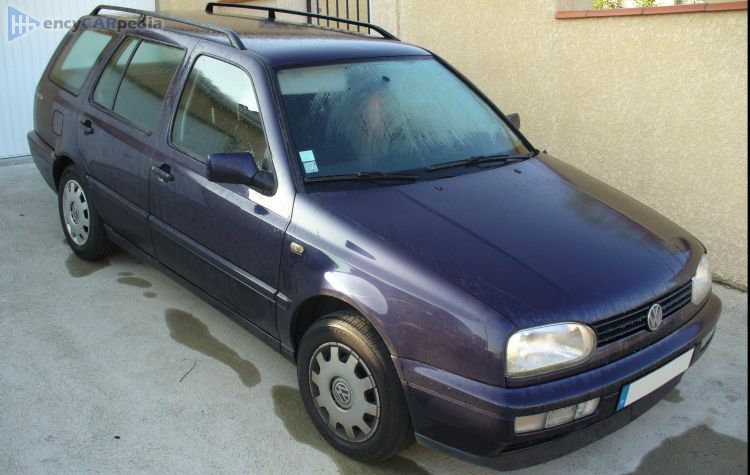 It was facelifted in 1998 with the 1998 Volkswagen Golf Variant 1.9 TDI syncro. It's an all-wheel drive front-engined compact estate with 5 doors & 5 seats. With 89 hp, the turbocharged 1.9 Litre 8v Inline 4 diesel engine accelerates this Golf Variant CL TDI syncro to 62 mph in 14.6 seconds and on to a maximum speed of 107 mph. Having a kerb weight of 1425 kg, it achieves 48.7 mpg on average and can travel 696 miles before requiring a refill of its 65 litre capacity fuel tank. It comes with a 5 speed manual gearbox. Luggage space is 466 litres, but can be expanded to 1425 litres for larger loads.